I just can't say enough great things about the Montgomery Book Festival. It was such an honor to be invited to this event coordinated by the awesome librarian duo of Tabatha Perry and Natasha Benway. Over 1,000 teens attended in addition to numerous parents, teachers, and other adults. I served on a panel called "Get Real." It was all about contemporary fiction. My fellow panelists were delightful, funny, and warm. My three comrades were E. Kristin Anderson, Bettina Restepo, and Anita Bunkley. 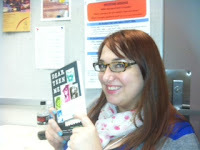 I have already shared an excerpt from E. Kristin Anderson's book, Dear Teen Me, with my high school students. 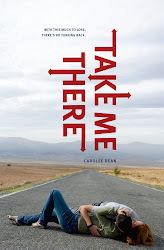 The book is compiled of a series of letters from authors to their teen selves and includes contributions by best-selling authors Ellen Hopkins and Cynthia Leitich Smith. Bettina Restrepo discussed her first novel, Illegal. 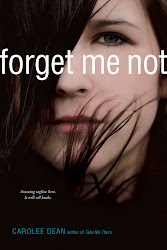 It's the story of Nora, a fifteen-year-old girl, whose father leaves Mexico in search of work. When his letters and money stop coming, Nora and her mother make a dangerous border crossing to search for him in Texas. Bettina tackles a tough, but very important topic which all of us who live in border states like New Mexico and Texas are painfully concerned about. 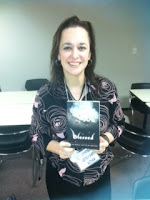 Anita Bunkley was the most seasoned author on our panel. She's published numerous books including Emily: The Yellow Rose and she won a Career Achievement Award in African American Fiction from Romantic Times Magazine. 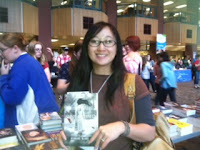 On February 2, I went to The Woodlands near Houston, Texas for the Montgomery Book Festival. 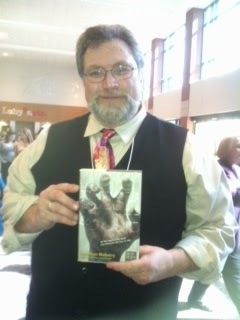 Author Jonathan Maberry was one of the keynote speakers, and in honor of his Rot and Ruin series members of the Zombie Walk were on hand for photographs. These zoms may look terrifying, but they're all heart. 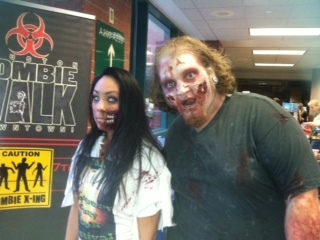 The Zombie Walk has nine different events currently scheduled for 2013 to raise money for local children's charities. Speaking of Zombies and Jonathan Maberry, he is awesome and so are his books. I had the chance to talk with him at the Friday night author social prior to the festival. He is a fellow Crowe's Nester, meaning that he and I both share the fabulous Sara Crowe as an agent. Check out her wonderful industry blog at the Crowe's Nest. I'm currently reading Rot and Ruin and can't wait to share it with my students. I wrote a spoof of his series to the tune of Jingle Bells. It's called Have a Very Zombie Christmas and several members of SCBWI helped me sing it during our Holiday party in December. Jonathan's take on zombies is intelligent as well as philosophical, with a little bit of zen sprinkled into the mix. I met so many wonderful authors at the festival. Here is Kendare Blake holding my new copy of Anna Dressed in Blood. When I'm finished with zombies I plan to tackle the unusual romance of Cas Lowood, teenage ghost hunter, and Anna, the murderous spectre who kills everyone who enters her Victorian home, but for some unknown reason spares the life of Cas. The festival was also an opportunity to catch up with old friends. I was delighted to deliver a pile of letters from my high school students to Cynthia Leitich Smith. Two of my English classes read her graphic novel, Tantalize, last fall and they have been asking about the sequel, Blessed, ever since. The letter writing project was so successful, the classroom teacher and I plan to duplicate it. 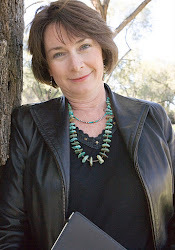 For details on how to get the most out of a "Letter to the Author" project, visit my article on the Author/Reader Connection in this week's issue of Spellbinders. I must commend the coordinators of the event, Montgomery County Librarians, Tabatha Perry and Natasha Benway. They were meticulous down to the last detail and even went so far as to make sure I had sugar free dark chocolate in my goody bag upon check-in at the hotel. I'm currently on a sugar free diet. Thanks again to everyone who helped to make this such a magical (and spooky) event.